Oh how the generations change – where I was once asked by my father to go and count the rivets on the Forth Bridge as his respite for moments of abject infant irritation, life is so much simpler for me. I simply tell the boy to get online and attempt to number the different variants of Porsche 991 – shazzam – an entire rainy afternoon zips by in a frenzy of ‘do they make a 2WD Targa?’ type questions. Does Porsche indeed make a 2WD Targa? According to my son, no it doesn’t. Are all Porsche 911s the same? No they are not – here’s a brief blagger’s guide to what’s hot and what’s not. Is there a 2WD Targa? And just how many rivets are there on the Forth Bridge? Rule of thumb with Ferdi’s bum-powered sportster is that there is no rule of thumb. Just when you think you have carte blanche to apply generalisations across certain portions of the 911 range, you will uncover something problematic. 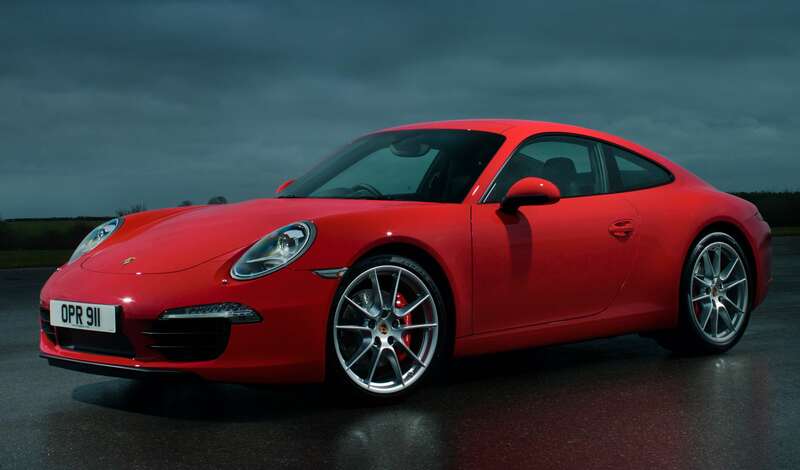 This is certainly the case with the coupé, that is the base 2WD coupé, known as the Carrera. Purists often laud the smaller engined (this time 3.4-litre) of the two cars as being best, and in previous models this has been the case, but it isn’t in the 991 range. I can’t quite believe that I’m about to suggest that a 350hp car with a 178mph claimed top-speed is lacking some grunt, but the 991 is quite a big lump and the extra 50hp and 37lb ft of the 3.8-litre S model make a difference. Do they make £10,000 of a difference? No. But then come resale time, you’ll probably find shifting an ‘S’ model much easier, so the real-world difference might be somewhat less. Manual or paddles? The manual should be preferable, but the 7-speed version in the 991 is a mangled version of the PDK system and the lever just isn’t very pleasant to use. So, whisper it, I’d have paddles. Fancy steering and chassis systems? Avoid them all. Take your 911 with normal suspension and normal steering ratio. I’d have an S over a base Carrera, but would I have 2WD or 4WD? Again, the 911 purist scoffs at front-axle drive the way we he does at novelty-editons of the great single malts. Talisker Dark Storm? Oh please grow up. But the slight fly in the whiskey here is that when you ask Walter Röhrl, two-time rally world Champion and Porsche ambassador what 911 he always chooses, he will answer ‘the Carrera 4’. Damn. Walter Rörhl’s choice: the Carrera 4. His reasons for this are quite simple: ‘Traction and stability’. He doesn’t care about the teensy bit of extra weight or the wider body style or really what size of motor it has (therefore completely de-bunking my work above), but he always goes 4WD. And I kind of agree with him. With four driven wheels the 991 is monumentally accomplished in all conditions and any argument suggesting that the 2WD car moves around a bit more and is more fun doesn’t stack-up because both offer levels of grip that if over-stepped on the public highway will land you in trouble. But I think the Carrera 4 is just too wide. Nearly another 50mm on a car which is, in my worthless opinion, already way too wide for a 911. So I’d stick with a Carrera 2S. What about a convertible? Porsche 911 cabs are always brilliantly engineered and they drive far, far better than most be-headed sportscars, and the 911 is no different. But it now has competition from the new Targa which, to my eyes looks brilliant and offers almost as much open-air fun. 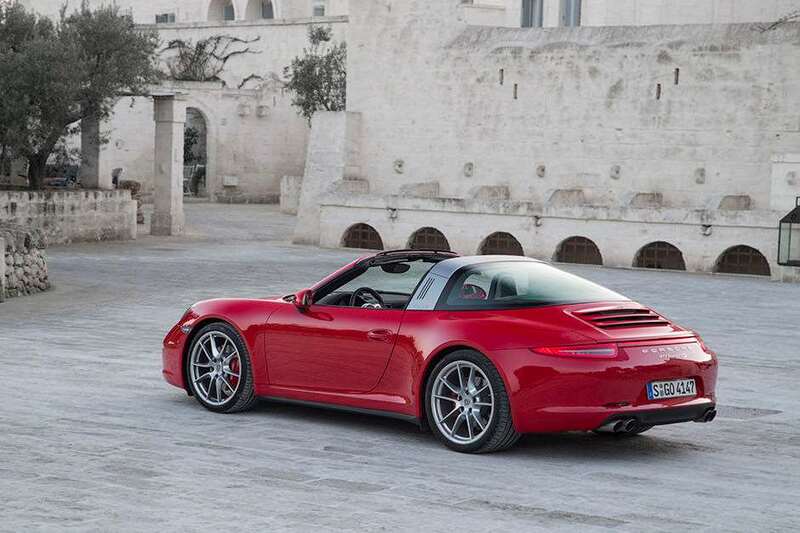 I can’t believe I’m saying this, but I’d take a Targa 4S over any Convertible 991. Turbo S… but does the clever money go on the non-S? The fast ones? The agony of choice. If you don’t drive on track and you want the ultimate all-weather performance car, have a Turbo. 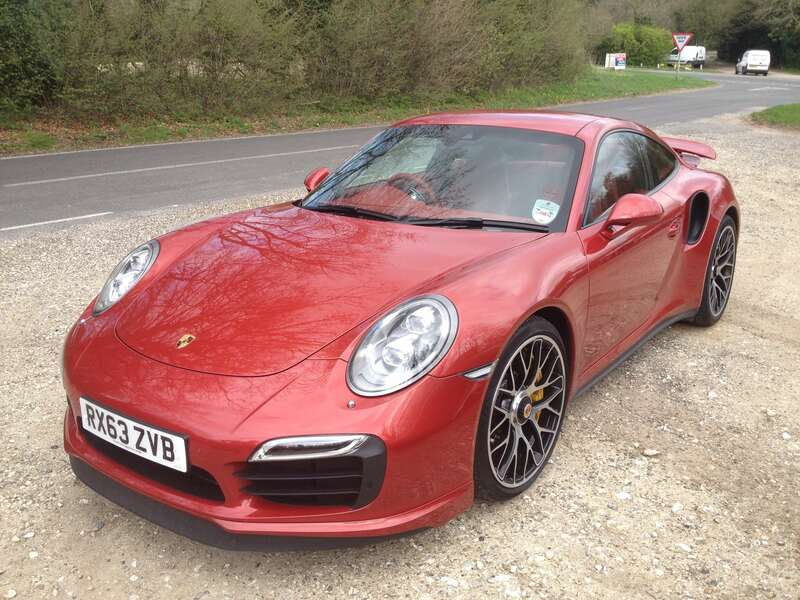 The classifieds show that everyone appears to buying the Turbo S model, which offers ceramic brakes and lots besides as standard, but I think the non-S is the clever choice. It is already obscenely fast and I like the inverse snobbery of owning the ‘poverty’ spec 911 Turbo. Oh, and make sure you tick the heated seats button on the options list – for some reason they’re not standard on a £120,598 Porsche. Nor is a rear-wiper (necessary) or floor mats (robbery). The 997 Turbo was a mixed-bag, the 991 Turbo is the 911 at its very, very best – albeit with the wide Carrera 4 body style. And the 911 luminary – the 991 GT3? The well-publicised engine recall is now completed, and despite all the sabre-rattling from disgruntled owners, it seems not many people rejected their cars. Understandably so – accepting that it’s a paddle-shift only, the GT3 is a crazy amount of car for the money. I’d have one in a flash. And to save you the laborious inquest next week. My findings on the subject of the best model in the Ferrari F12 range are as follows: the Ferrari F12 is the best F12. Chris Harris: Why are people beating up on the BMW M3?